Volunteer Hit Squad does it AGAIN! 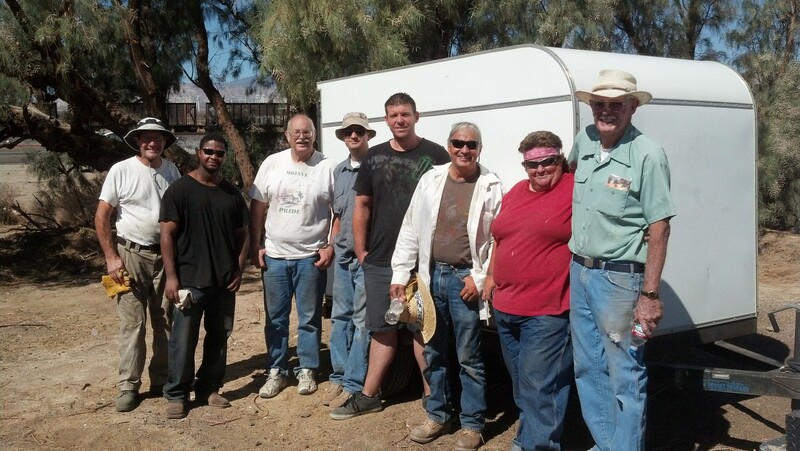 On September 6, nine volunteers tore down an abandoned shack on a parcel of desert only 20 meters from Sierra Highway leading into Mojave. 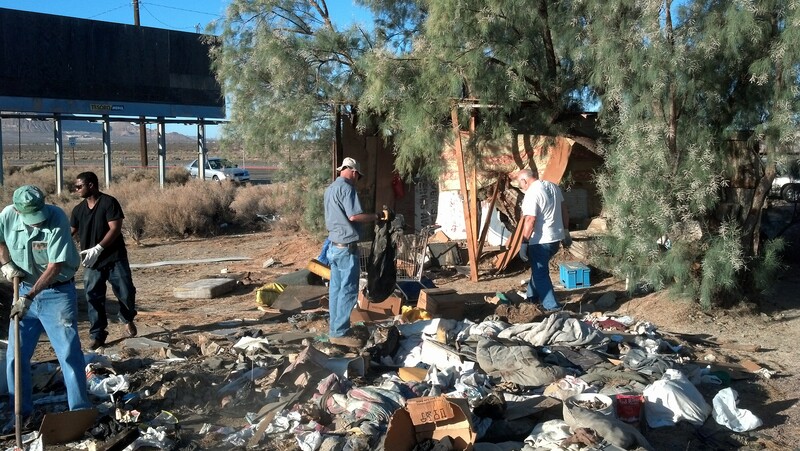 “This was the first thing people see when they come into town” said Dorothy Galton, who led Friday’s cleanup effort, “and sent the wrong message about Mojave.” According to the Kern County Sheriff’s Office, the shack was built illegally over the last several months, and then abandoned when the occupant went to a larger city several weeks ago. After several hours, it became clear that the project was far larger than volunteers had expected – having hauled 5 pickup truck loads to the dump, and paying the fees out of their own pocket. Completing this project would not have been possible without the support of MPC Printing in Mojave, who came to the rescue with a truck and trailer, and paid the remainder of the dump fees. 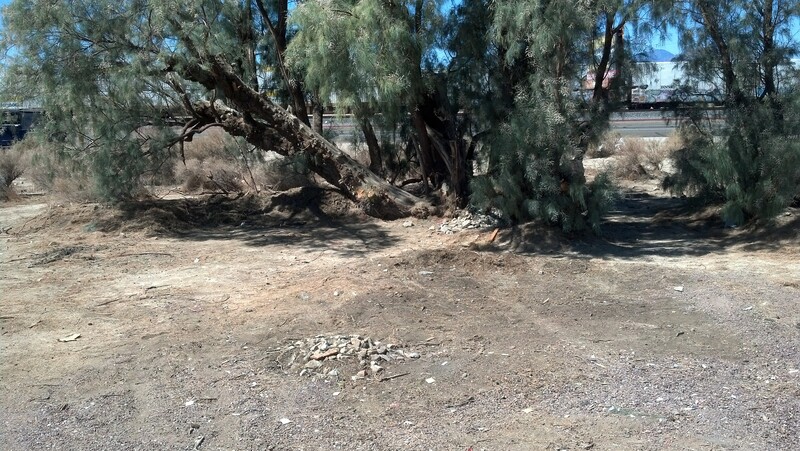 This entry was posted in Uncategorized on September 6, 2013 by mojavefoundation. It is so heartwarming to see good people come together for a great cause. 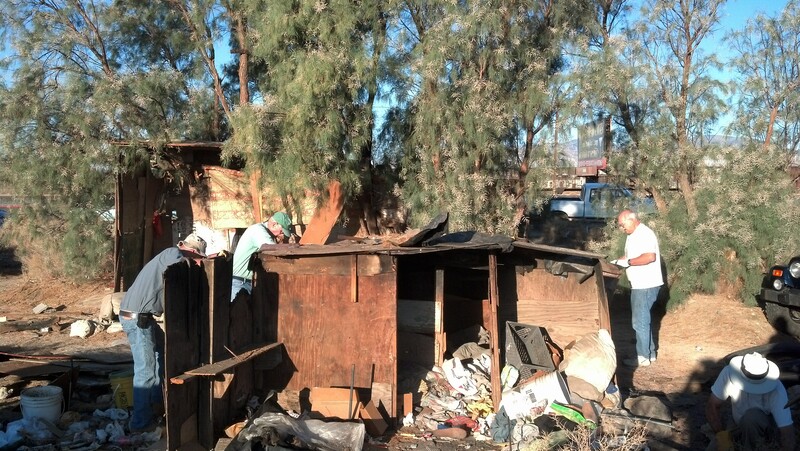 The work these citizens accomplished was humbling. Proud of their work; proud to be American.